Back in 1961, an American car designer, racing driver, and entrepreneur called Carroll Shelby wrote to AC Cars to ask if they would build him a car modified to take a V8 engine. 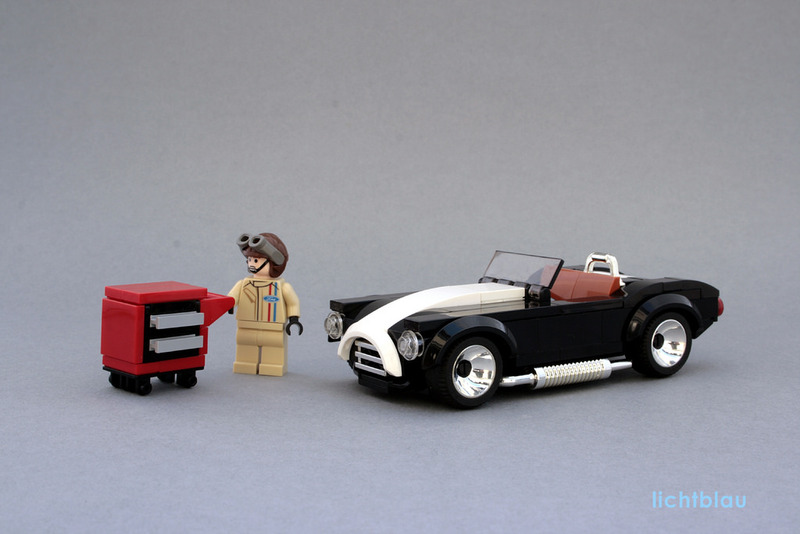 Ford happened to have a new, lightweight V8 ready, and when Ford provided Shelby with two engines, the AC Shelby Cobra was born. 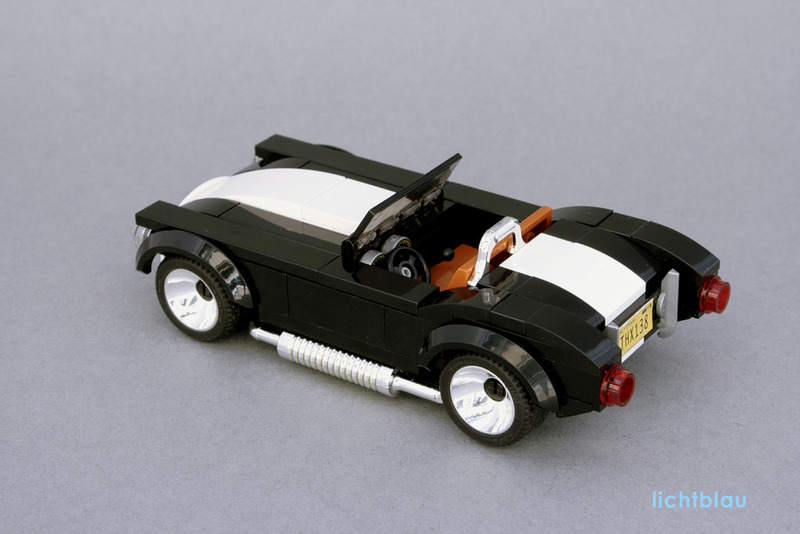 -lichtblau- has revised his previous AC Shelby Cobra design with this fantastic black and white version. The shaping is superb, especially the use of the short mudguard at the front to depict the curved nose. This particular model has an attractive dark orange leather interior with a chrome rollbar, held in place simply via the friction between the seatback and the trunk.